Chef Jay and his 6 other teammates (Dan, Jess, Jon, MattJohn & Wendy) have you covered at their supper club, Apt4 in Brooklyn with their 4 course, 5 wine dinner. 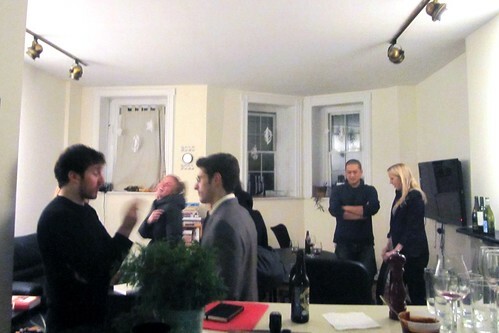 Apt4 just started recently in March but have already held cocktail events for 30+ guests and intimate settings like January 21st's Chef's Table held in Jay's bachelor brownstone. For this specific dinner party, no menu was given hence "chef's table", location details were sent out the day before, and only 6 guests were invited. It's the smallest dinner party I've been to. 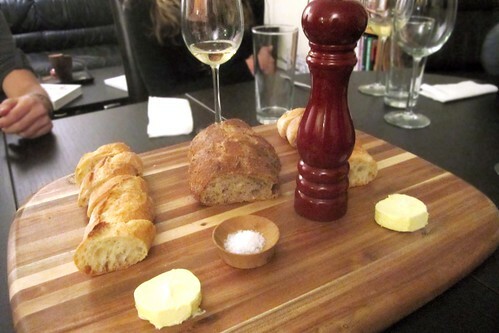 To start, we were welcomed with sparkling champagne and bread + butter. 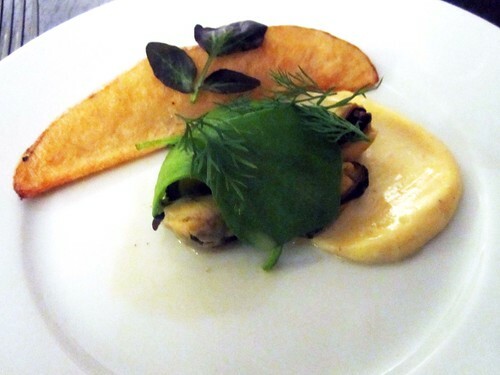 First Course-Moules Frites: pan friend russet. claytonia. dijon aioli. Looks simple, but the mussels + dijon aioli + wine pairing was kind of mind blowing. Paired with 2009 Tomero Torrontes, Salta Argentina. 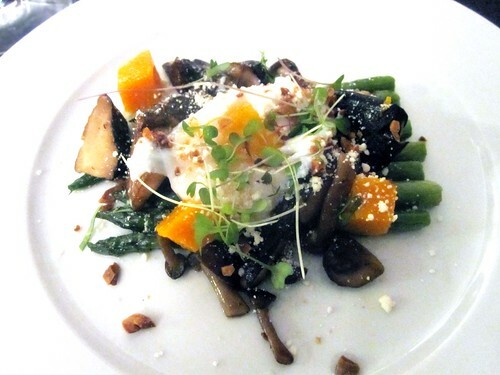 Second Course-Roasted Asparagus: mushroom stir fry. slow poached egg. cotija cheese. Again, combination/ textural heaven. 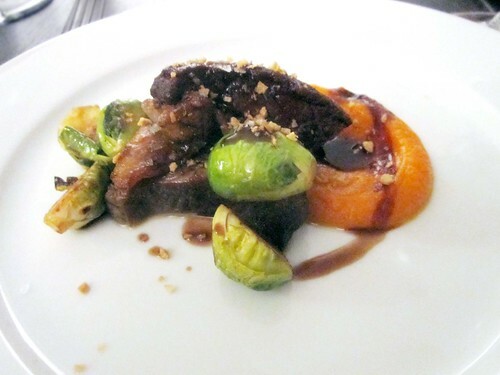 Third Course- Braised Beef Shortribs: carrot puree. brussel sprouts. 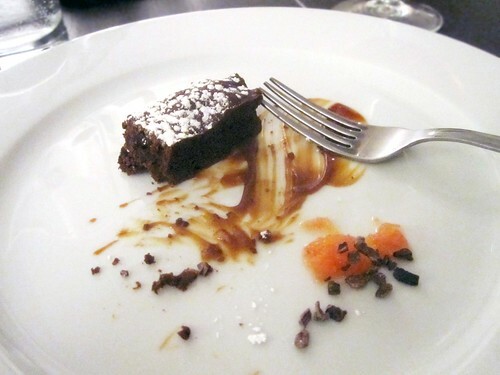 I think after this dinner, I would definitely invest a trip to Mas Farmhouse (Jay works there)..
Fourth Course- Chocolate Francier: sauce caramel. cara cara orange. Oops, started eating; forgot to snap picture. -Not knowing what we were about to eat. That's the first supper club that made the menu unknown. Adds to the suspense. -Having such a knowledgeable sommelier, Jon and incredible chef, Jay. Ask them questions, they'll have answers. 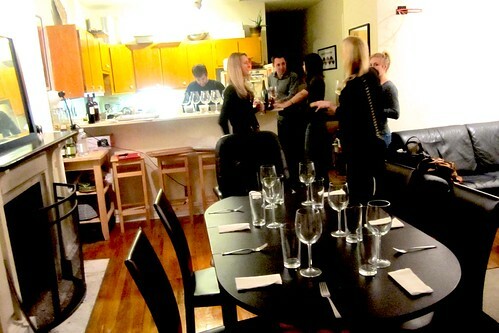 For upcoming events: www.apt4foodandwine.com or follow them on twitter at @apt4.